Wasted potential. An affordable multimedia laptop featuring a quad-core APU, 16 GB of RAM and Crossfire graphics - that sounds almost too good to be true. In fact, Lenovo's G505s looks like a virtually unrivaled price-performance bundle on paper, but it also has some serious faults. 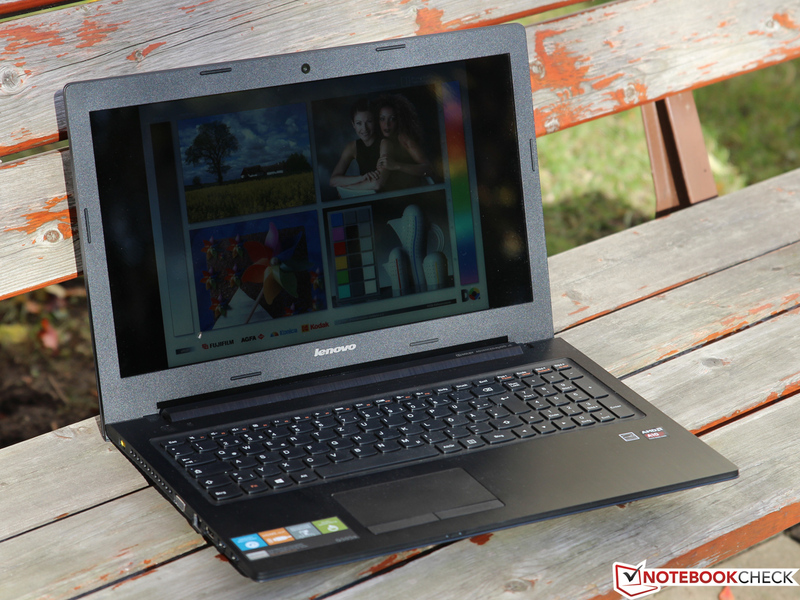 Economical and quiet, but too little power for many current games was our verdict about the Lenovo G505s that we tested in an entry-level configuration a few weeks ago. However, the manufacturer also offers a range of other configurations that are expected to excel with much higher performance. We are taking an in-depth look at the ultimate top model today. 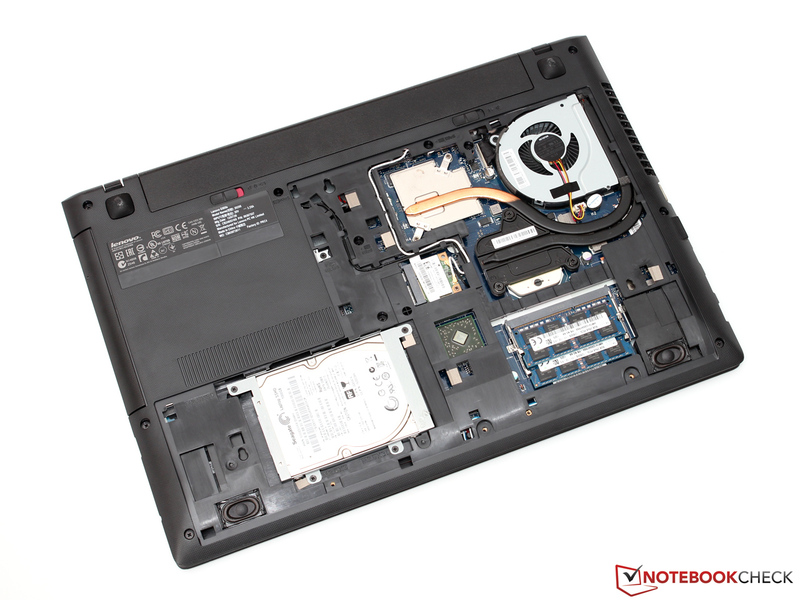 Besides AMD's currently fastest APU, the A10-5750M, the laptop also sports a lush 16 GB of RAM, a 1000 GB hybrid hard drive and a dedicated Radeon HD 8570M. Particularly high frame rates are to be achieved using a Crossfire array alongside the processor GPU. We will closely examine whether this is successful in the following test report. 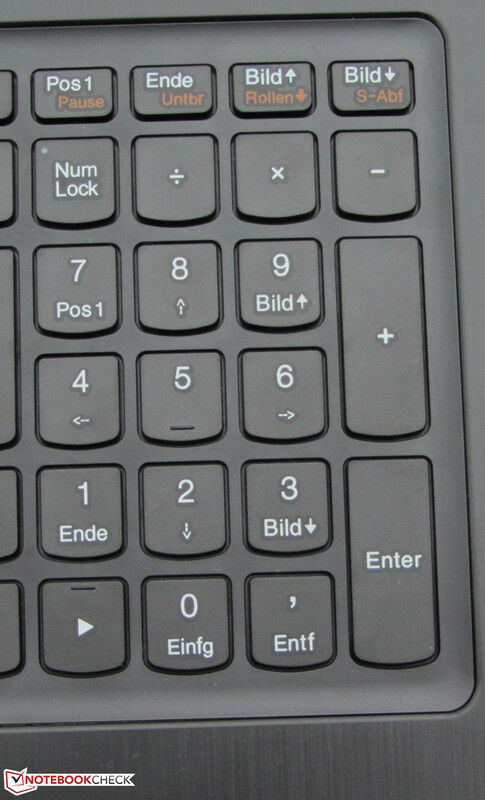 Details about casing, interfaces and input devices can be read in our previous review. The tested configuration of the G505s is not yet available on the German market and we can only guess the price. Approximately 700 Euros (~$963) should be realistic and thus the laptop competes with Toshiba's Satellite C855, HP's Pavilion g6 and Acer's Aspire V5-573G. We will jump to the screen right away. At first glance, it appears to be the same one as installed in the sister model with 1366x768 pixels and a diagonal of 15.6 inches (100 dpi), but a different TN display is used. We find the B156XW04 model from AUO in our review sample, which however unfortunately does not really score much better than the Samsung screen in the last test report. We even ascertained a small step backwards in terms of brightness. The luminosity only achieved approximately 198 cd/m² even at the maximum setting. That is not only less than the contenders from Toshiba (229 cd/m²) and Acer (278 cd/m²) but could prove to be a bit too low even in brightly lit rooms or at a window work place. On the other hand, the screen scores with an improved black reproduction (0.34 cd/m²), which boosts the contrast ratio to 582:1. Together with the glossy screen, this subjectively results in a rich and vivid image impression, which particularly enhances movies and games. 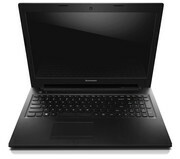 However, the laptop is not as suitable for professional graphics or image editing applications. One reason is its very limited color spectrum that only covers the sRGB standard by 53 percent and the AdobeRGB space only by 36 percent. 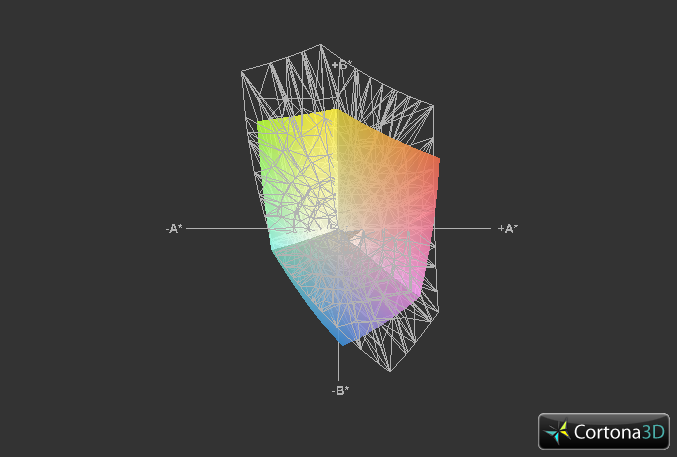 Another is that the screen exhibits considerable deviations in colors and grayscale, both with a DeltaE of almost 10. Here, the strong bluish cast is very striking and even visible to the naked eye. A more careful calibration ex-factory would be desirable. 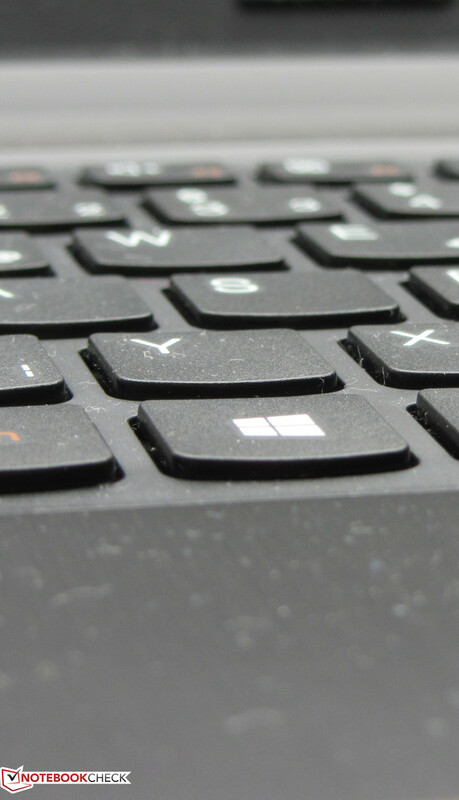 The combination of a reflective-type screen and a fairly weak backlight makes using the laptop outdoors only possible under certain conditions. While content becomes virtually illegible in direct sunlight, it is principally possible to work with the laptop in the shade. Nevertheless, visible and distracting reflections are always present in this case too. Like many other TN screens, the display proves to be very viewing angle dependent. The user should look at the screen as straight as possible, particularly on the vertical plane. 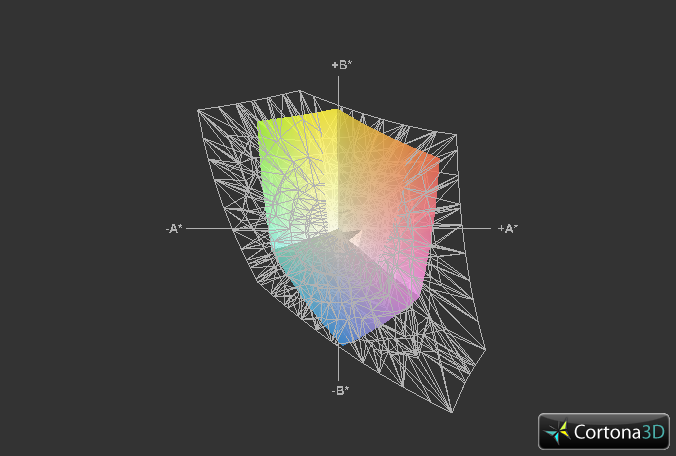 The image either fades or dims significantly when the viewing angle is changed even by only a few degrees. Higher-quality IPS screens, such as in Acer's Aspire V5-573G, have clear advantages, but they are only rarely found in low-priced laptops. 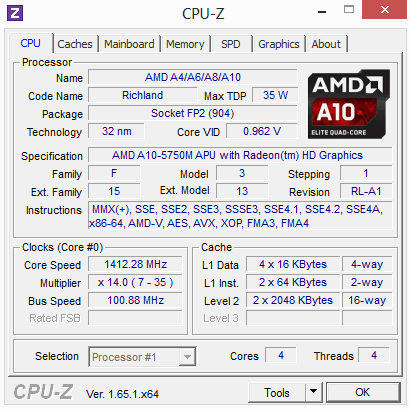 The A10-5750M is currently the strongest APU in AMD's product line. The underlying Richland architecture is largely based on the Trinity precursor technically and is still built in 32 nanometers, but it can boast with an improved Turbo and higher clock rates of 2.5 to 3.5 GHz in this case. AMD calls the A10 a quad-core processor, but this name-giving is misleading upon closer examination. In truth, the 5750M only has two so-called modules; however, they can simultaneously process two threads each. 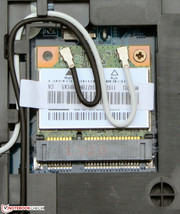 The chip, specified with a TDP of 35 Watts, also integrates a graphics unit called Radeon HD 8650G. 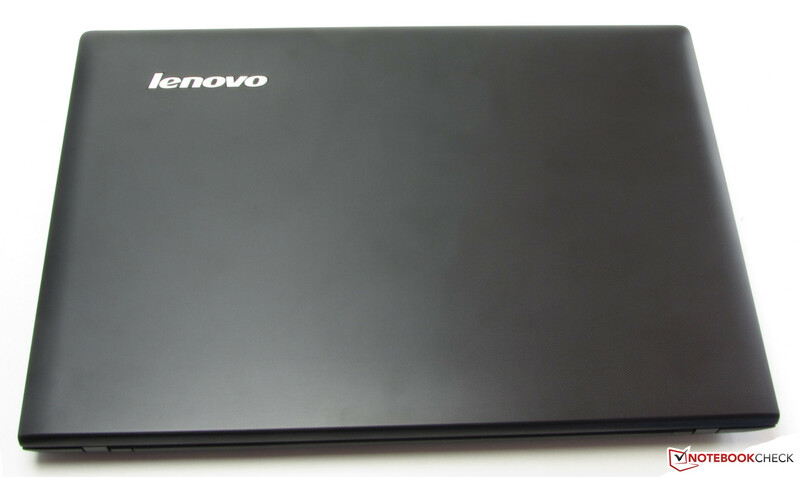 It is supported by an additional, dedicated Radeon HD 8570M with 2 GB of DDR3 memory. 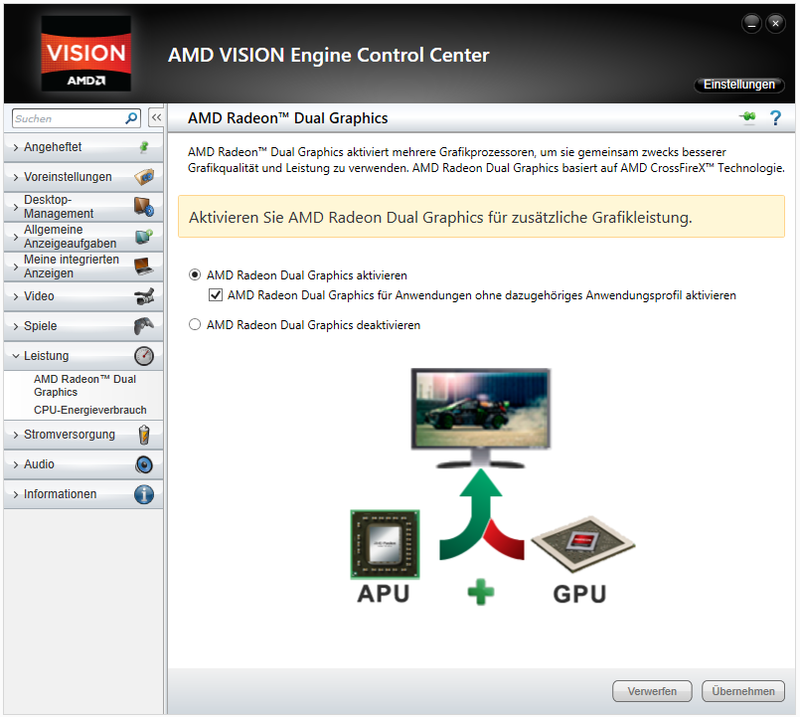 In contrast to Nvidia's Optimus technology where only one of the two GPUs is used for 3D calculations, AMD's dual-graphics allows using both in a Crossfire array. 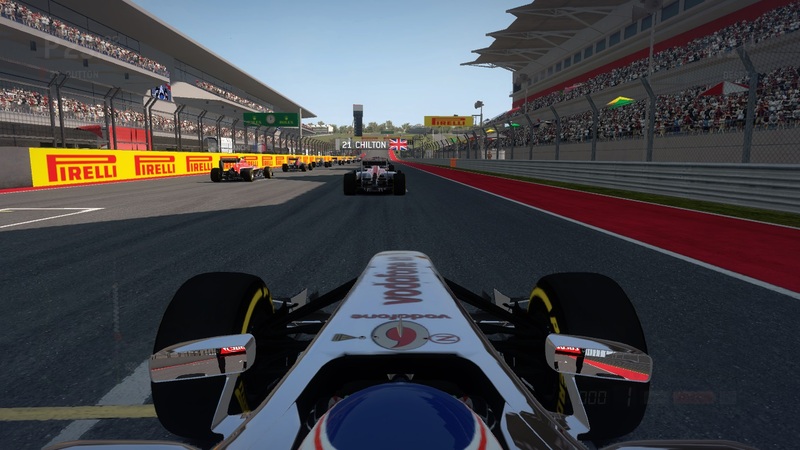 This would theoretically boost the performance significantly when the drivers play along. 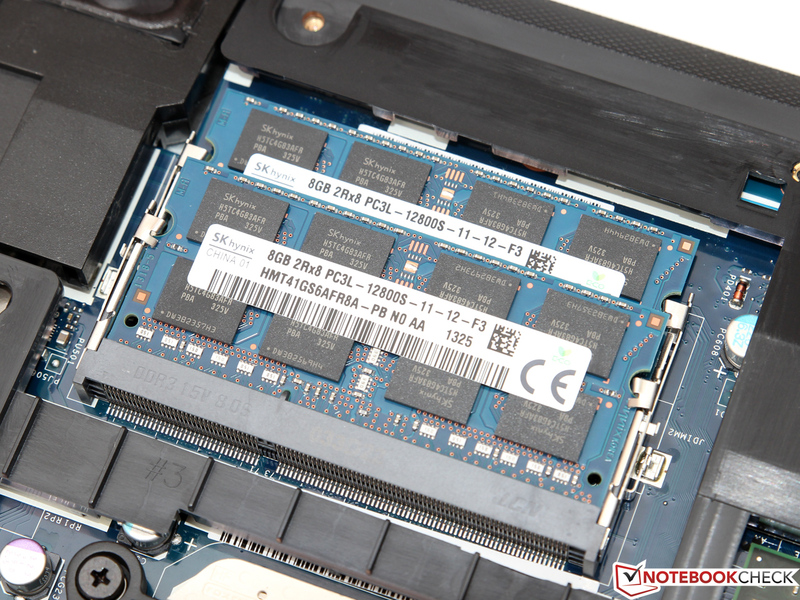 A lot helps a lot is the motto when it comes to memory: 16 GB of DDR3 memory divided over two DDR3-1600 modules with 8 GB each and a hybrid hard drive with a capacity of 1000 GB would even be impressive in a high-end laptop. Since we tested the A10-5750M for the first time a while ago, its principle performance is quite familiar. The APU can compete with the Core i3-3110M from the big competitor Intel when the available Turbo Core headroom is maxed out optimally, which is a completely sufficient level for many applications. 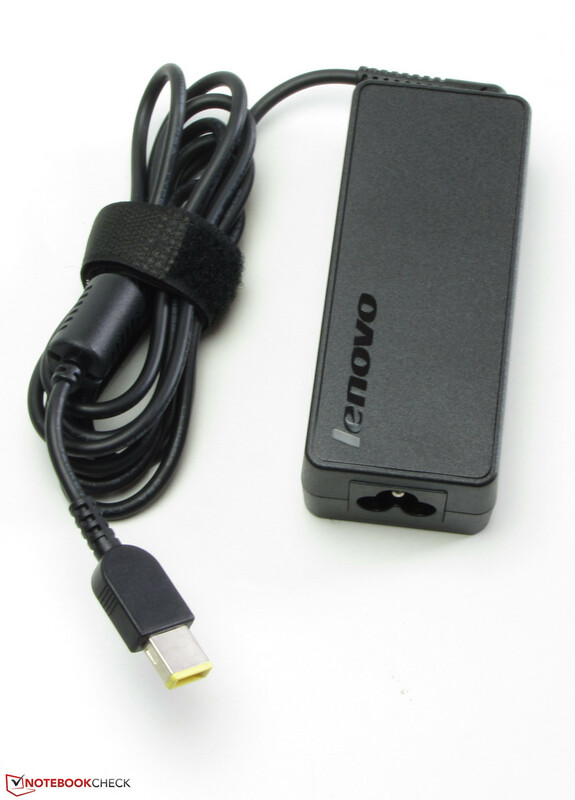 Regrettably, Lenovo's G505s is very remote from such regions. 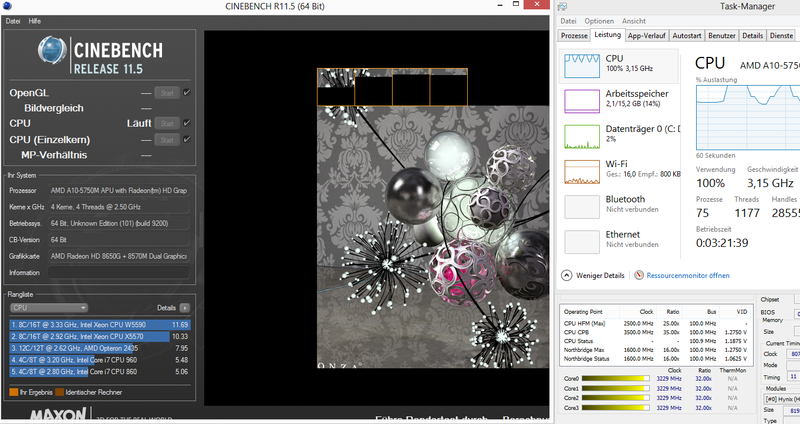 We only ascertained a low score of 0.49 (single) and 1.27 points (multi-threading) in Cinebench R11.5, which did not improve even after several runs and trying different energy-saving modes. Extreme clock fluctuations are responsible for this low performance. Single cores repeatedly nosedive to an idle level of 900 MHz while the maximum possible 3.5 GHz is practically never reached. That essentially makes the A10-5750M even slower than a low-end CPU, such as the Celeron 1017U and only marginally beats the weaker A6-5350M. We encountered an anomaly as we searched for this behavior's reason. 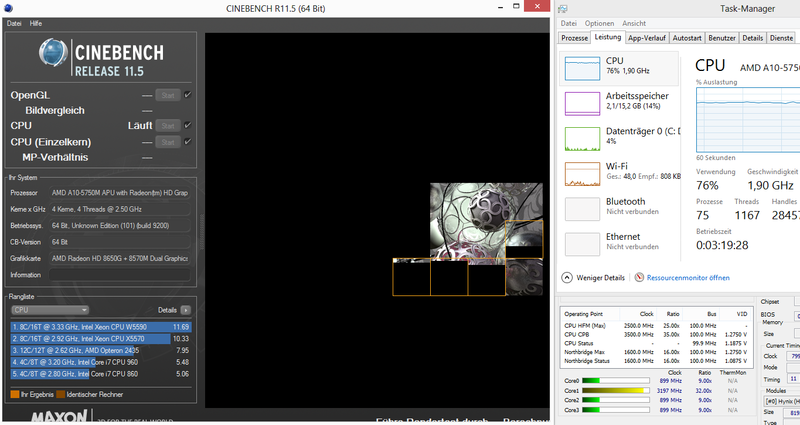 The described problems abruptly disappeared in battery mode and the performance climbed to the expected level (Cinebench R11.5: 0.88/2.04 points). 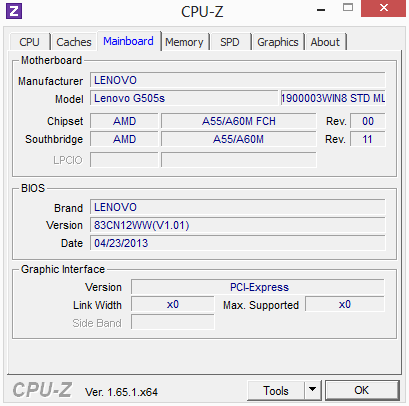 We presume that it is only a software bug that will hopefully be resolved with a BIOS update. The question whether the buyer wants an affordable hard drive with high capacity or a smaller and faster SSD arises when choosing a storage device. 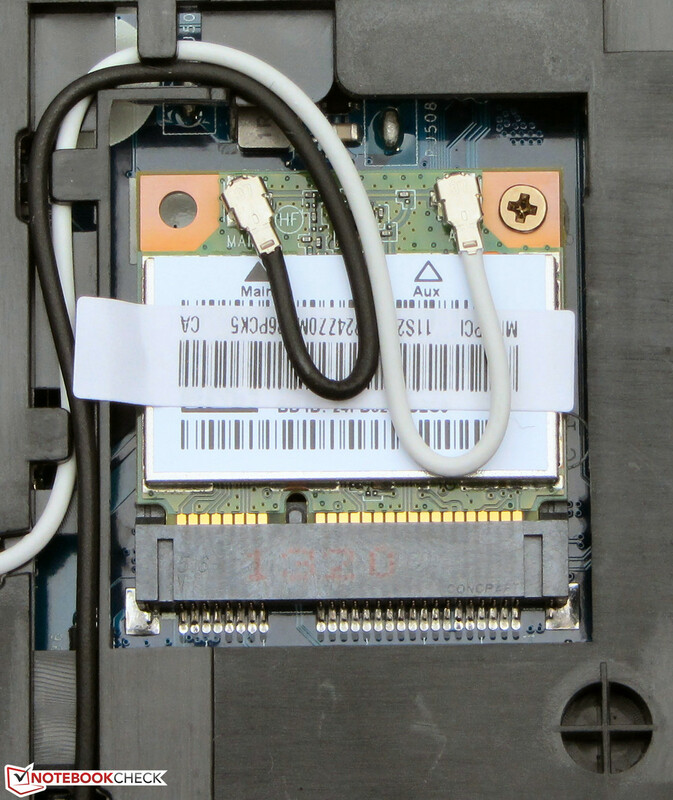 There is however a third alternative that an increasing number of manufacturers fall back on: a hybrid hard drive that fuses the advantages of both technologies. 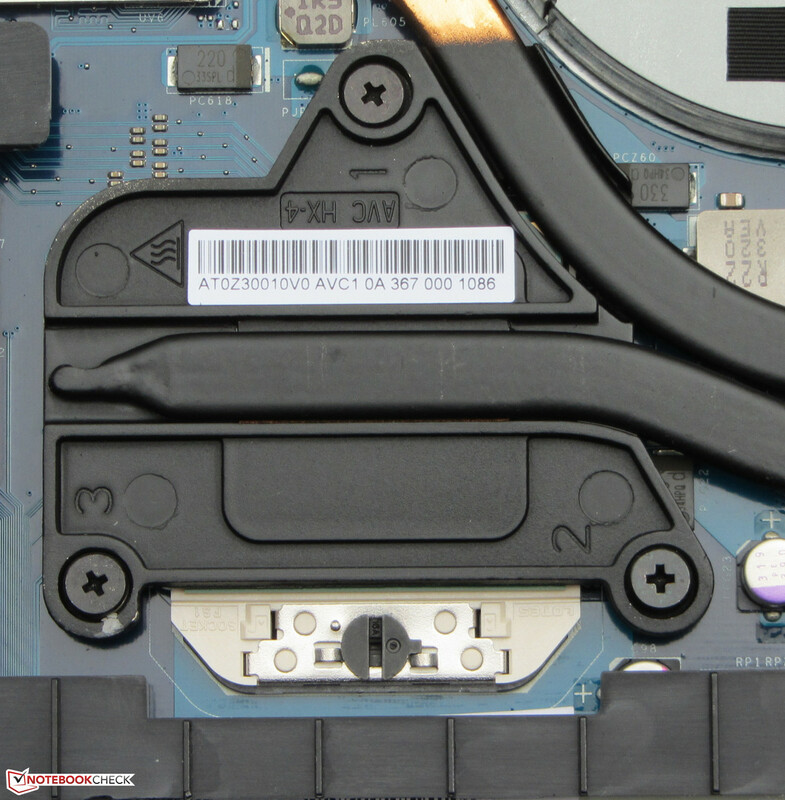 Lenovo opted for a 1000 GB Seagate Laptop SSHD (2.5 inches, 9.5 millimeter height) that additionally has 8 GB of integrated flash memory (MLC-NAND). Frequently used files are stored automatically on this mini SSD in order to increase the access speed. However, it is difficult to illustrate the resulting advantages with typical programs like HD Tune. The drive needs a certain "learning-period" and that is not possible when running the benchmark for the first time. Consequently, the average transfer rate of 85 MB/s approximately correlates to that of a conventional HDD with comparable specs. The same is true for the access time of 18.0 MB/s. Rates below 0.1 milliseconds would be possible with a full-fledged SSD. 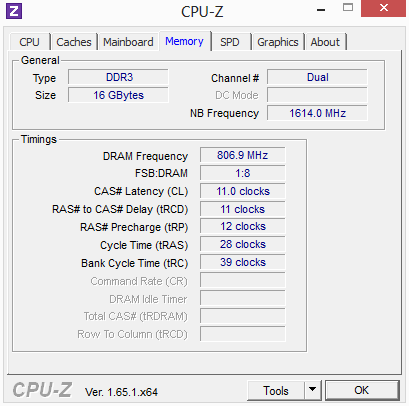 The CPU's clock issues naturally have an impact on the system's entire performance. 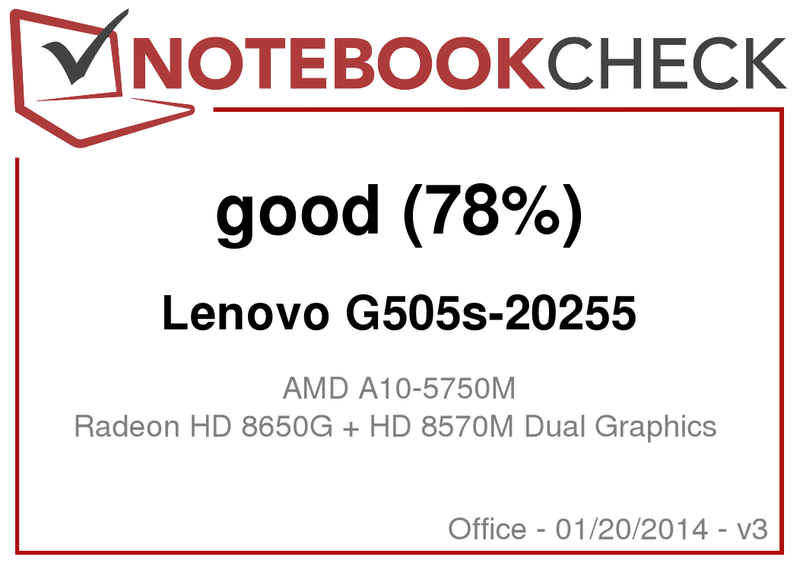 Lenovo's G505s looks quite good with 2468 points in PCMark 7, but that is primarily due to the hybrid HDD that the contenders do not feature. Even apart from these synthetic benchmarks, it is very obvious that the laptop does not run at full speed. The system sometimes needs to pause, particularly in demanding tasks or multitasking and this noticeably limits the user’s productivity. The small flash memory cache's practical value also has to be seen a bit critically. It is primarily the booting process that benefits from it because it is almost just as fast as when a considerably more expensive SSD is used. However, the tight 8 GB cache does not seem to have space for other programs. Twice if not four times the capacity, at least, would presumably be required to accelerate the most important data. Seen on their own, both the Radeon HD 8650G (384 Shaders, VLIW4, 533 - 720 MHz) and the Radeon HD 8570M (384 Shaders, GCN, 650 - 700 MHZ) are located in the lower midrange. It is the Crossfire array that makes them strong. However, it is usually an exception to the rule when this functions as desired. We could only ascertain a significant performance increase in 3DMark 11 with 1827 points. Other benchmarks virtually did not show any differences and sometimes even a performance loss was noticed compared with sole use of the processor graphics. It is unfortunately not possible to enable only the Radeon HD 8570M, but it would be a bit slower than the 8650G due to its narrow 64-bit interface anyway. Like in the 3DMark tests, the dual-graphics solution rarely managed a measurable advantage in games. Often the increase only equaled a few percentage points or even reversed into the negative, like for example in Battlefield 3. 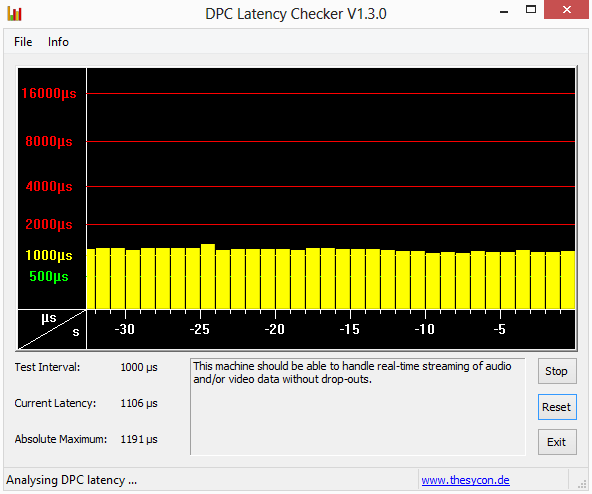 Micro-stuttering is also an issue that should not be neglected in a multi-GPU setup. In connection with the limited CPU performance, this all leads to a not very compelling 3D performance. About half of the tested games did not achieve a smooth frame rate of at least 30 fps even in minimum settings - at least not in AC-mode. The performance improved drastically in battery mode (in low, CPU-limited resolutions) because the processor managed its specified clock rate. 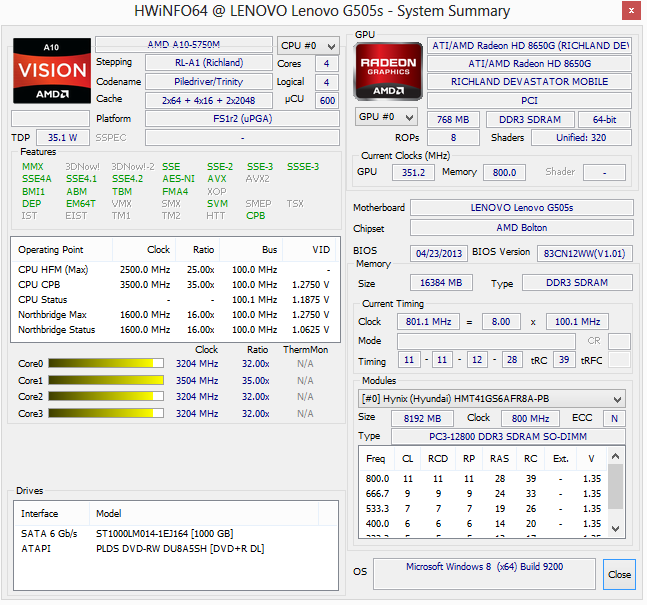 This is naturally not really a viable solution, but it shows that the Richland APU, and consequently Lenovo's G505s, would be capable of much more under ideal conditions. 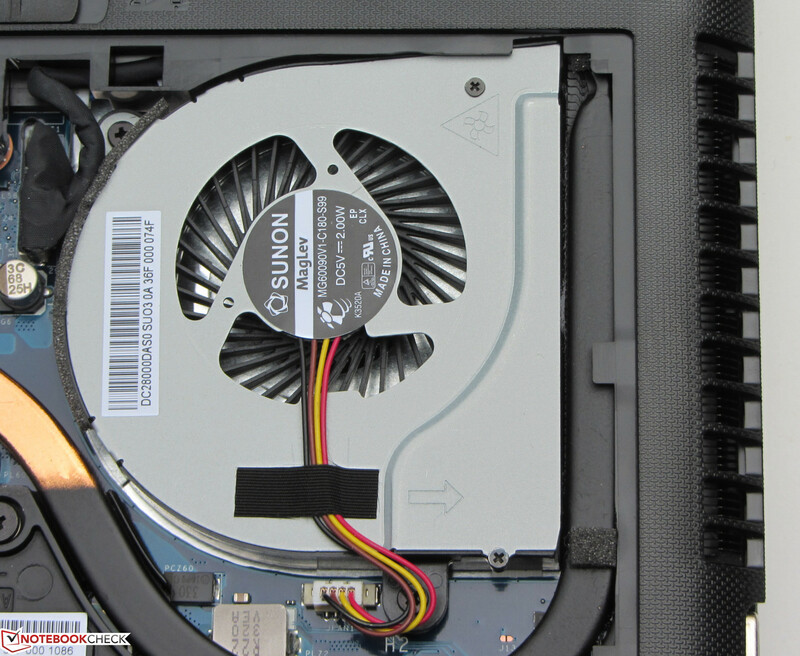 The fan in the G505s runs agreeably quietly and evenly, although it never completely stops even during longer idle phases. The noise level of 31.4 to 32.9 dB(A) that we measured will only be noticed adversely in very quiet surroundings and will unlikely annoy the user. The quietly buzzing hard drive is just as restrained and its access noises are virtually inaudible at a normal distance. 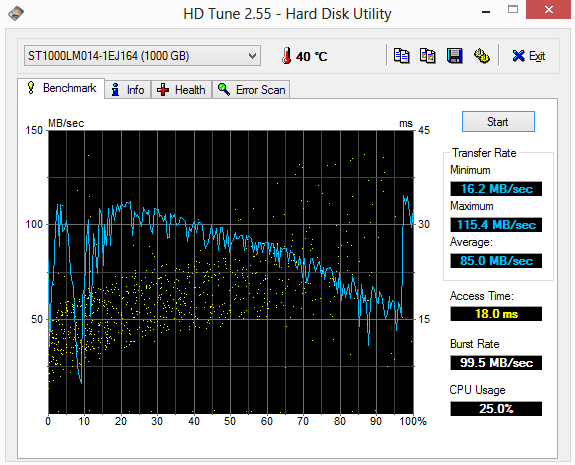 The laptop only gets insignificantly louder during load and reaches 36.6 to 37.7 dB(A). Those are very low rates compared with the contenders, which however have to be considered in relation to their performance. The fan can spin with such a low speed not least due to extreme throttling. The casing heated up to just over 20 °C (68 °F) during little load and when idling. We however ascertained temperatures of up to 37 °C (98.6 °F) in the vent's area. 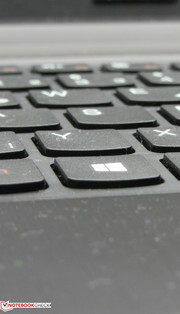 Nevertheless, it should be possible to use the laptop on the thighs without major restrictions. It is not advisable to use the device on the lap when the hardware is heavily loaded. Particularly the casing's left heated up tremendously and easily surpassed 45 °C (113 °F). Since the wrist rest can also get quite warm after a while, longer gaming sessions without an external keyboard will prove disagreeable. 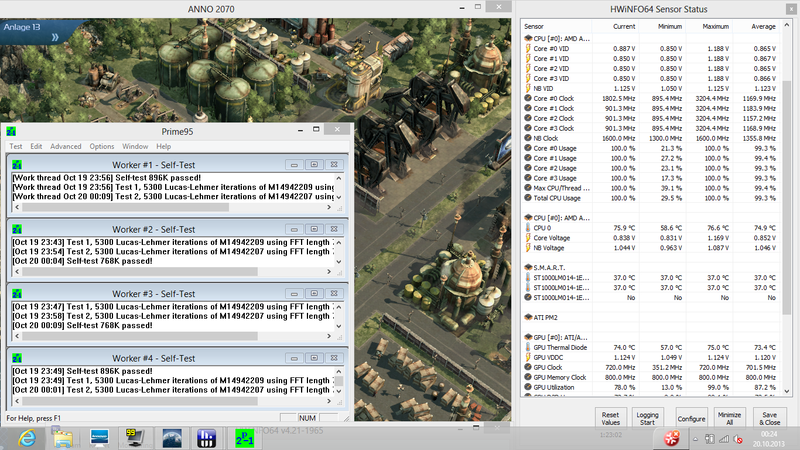 We replaced our stress test with Anno 2070 because the program FurMark that we normally use did not want to work with the Crossfire array. Together with the CPU tool Prime95, it pushed the A10-APU to a temperature of an uncritical 76 °C (168.8 °F) (HD 8570M could not be read out). 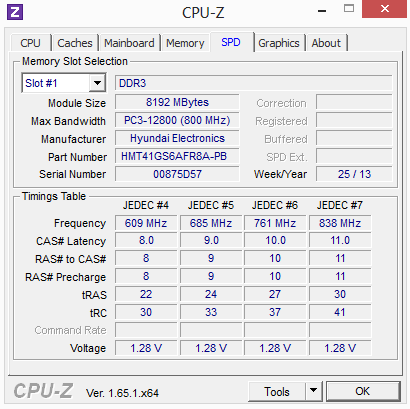 However, the processor's clock dropped to below 1.2 GHz at the same time. This will likely be related to the aforementioned software/BIOS issue and not thermal throttling. In return, the Radeon HD 8650G stably maintained its maximum Turbo of 720 MHz and thus continued to supply the full performance. Nothing has changed about the quality of the installed stereo speakers since the last test. The downward-firing speakers still produce a clear and sufficiently loud sound that however lacks bass power. Therefore, we would recommend connecting external speakers via HDMI or the jack for multimedia applications and games. Despite the processor's dynamic graphics switching and various energy-saving mechanisms, our review sample proved to be quite power guzzling. 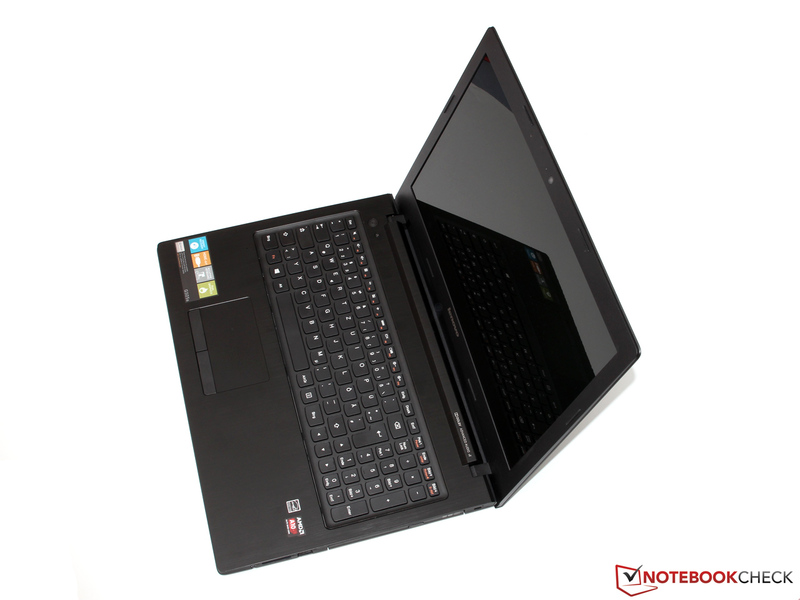 The G505s surpassed most of its contenders with 10.5 to 17.5 Watts when idling. 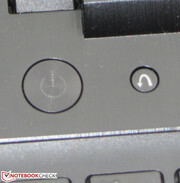 Other 15-inch devices, such as Acer's Aspire V5-573G, are satisfied with a bit over 10 Watts. The maximum consumption is also clearly too high for the available performance. It added up to 64.6 (3DMark 11) to 74.0 Watts (3DMark 11 and Prime95). Even after deducting conversion losses, the included 65-Watt power supply will likely work beyond its specifications in extreme situations. A 90-Watt model would certainly have been the better choice in view of these figures. The comparatively high power consumption and the small 41 Wh battery lead to fairly short runtimes. We thus could only ascertain a moderate 5 hours and 56 minutes in Battery Eaters Reader's test using energy-saving mode, minimum brightness and Wi-Fi off. 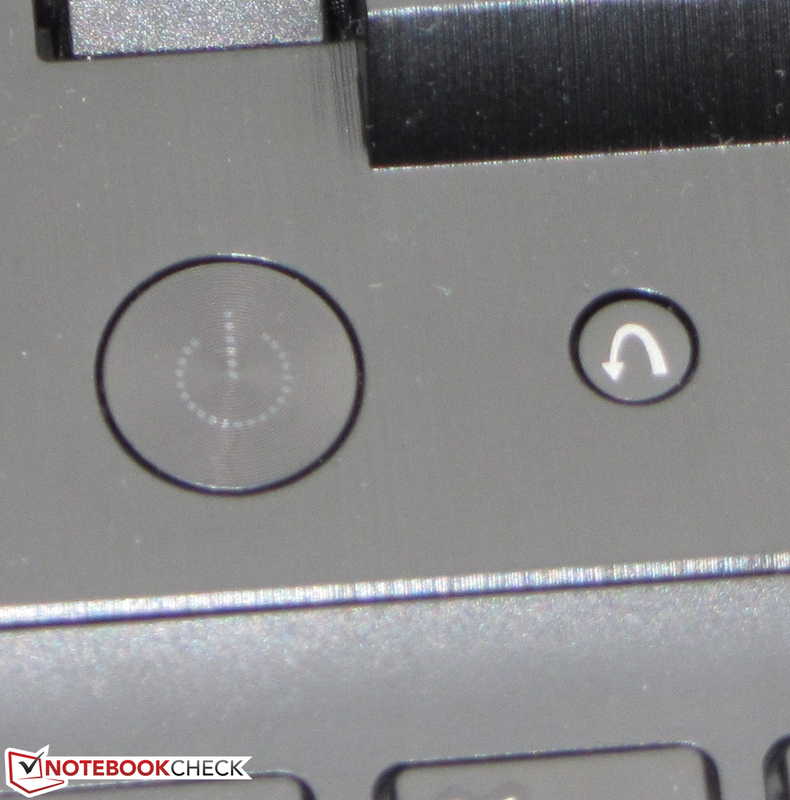 Acer's Aspire V5-573G lasted for almost 9 hours in identical conditions. The G505s also disappointed us in our Wi-Fi test (energy-saving mode, approx. 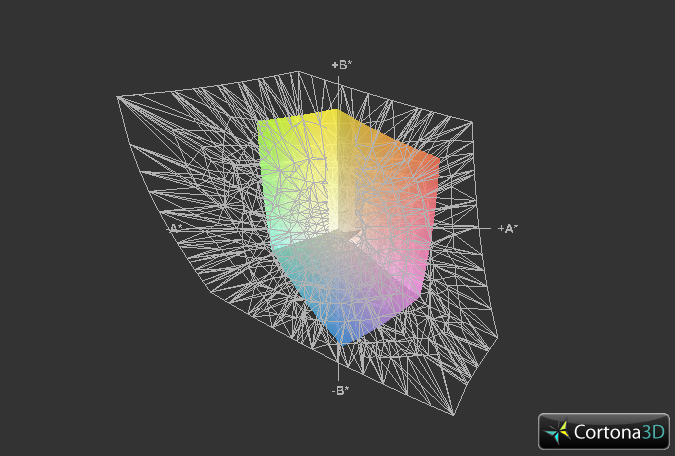 150 cd/m²). The user will have to reconnect to an outlet after only 3 hours and 8 minutes and recharge the battery for roughly two hours. Alternatively, the capacity will suffice for a long DVD movie played from the built-in drive. As expected, we recorded the minimum runtime in Battery Eater's Classic test via high-performance, maximum brightness and Wi-Fi on, which loads both the CPU and GPU. The battery was drained in only 47 minutes. 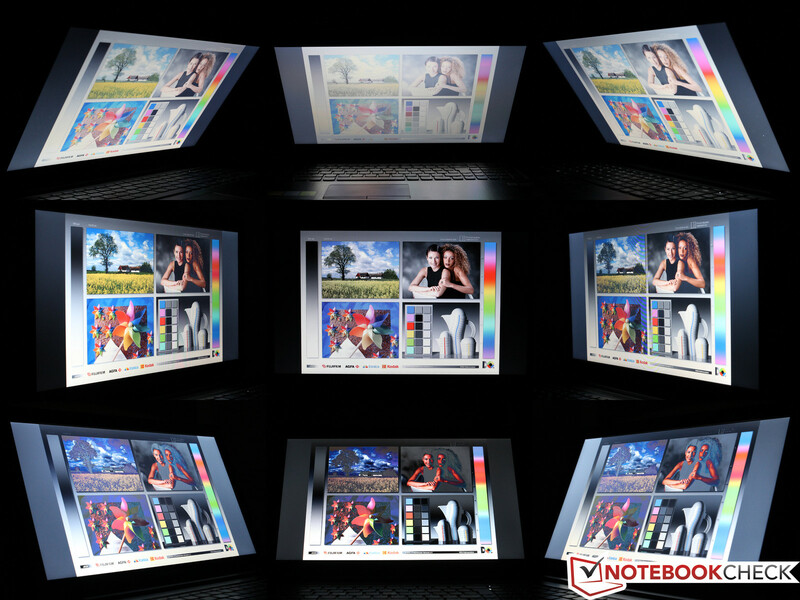 The notebook could have been so much more: Lenovo's G505s-20255 cannot keep the promise it makes on paper in practice. Particularly aggravating is the CPU's obvious faulty clock management, which leads to performance losses of up to 50 percent. The A10-5750M's existing potential that is actually to pit itself against Intel's Core i3 series is unnecessarily wasted. 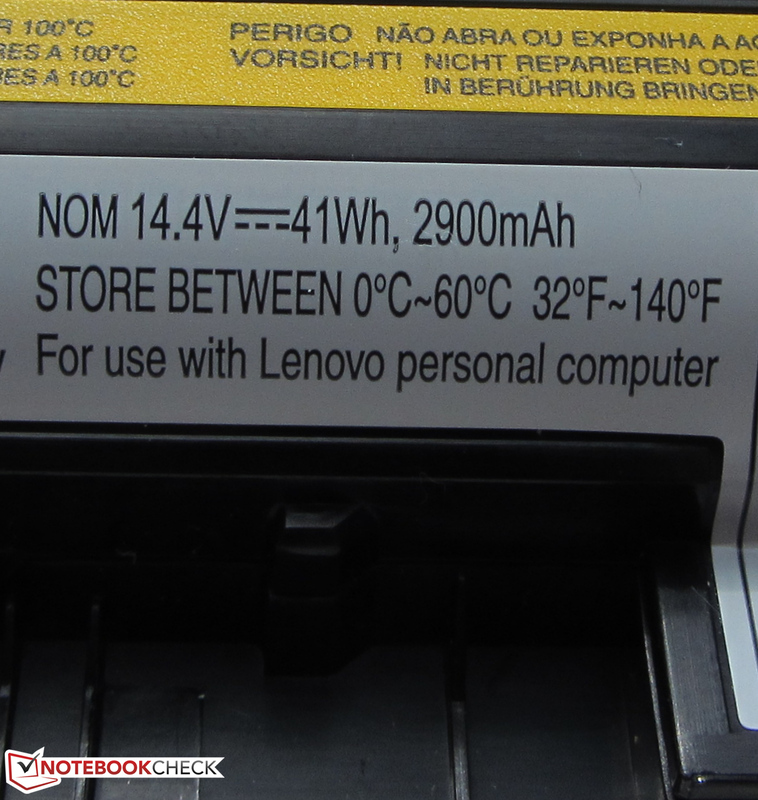 We can only hope that Lenovo can resolve this problem via a BIOS update - we will naturally keep our readers informed. That is unfortunately not the laptop's only drawback. The manufacturer's decision to install a dedicated Radeon HD 8570M besides the processor-integrated graphics encompasses more disadvantages than advantages. 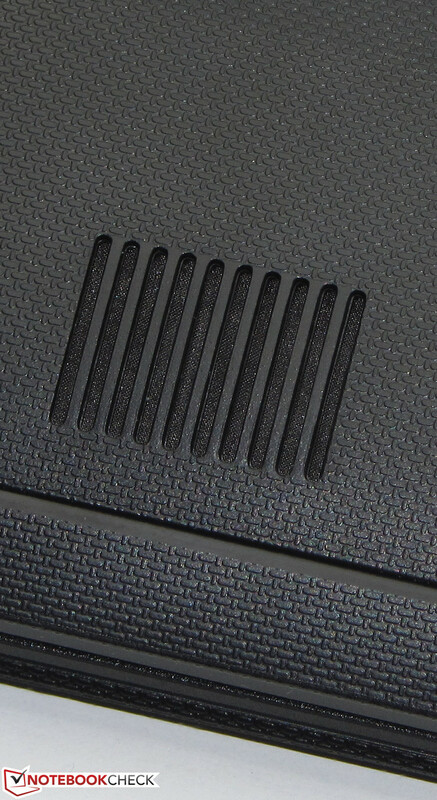 The slightly higher performance in single games opposes additional costs, increased power consumption and other issues, such as micro stuttering. 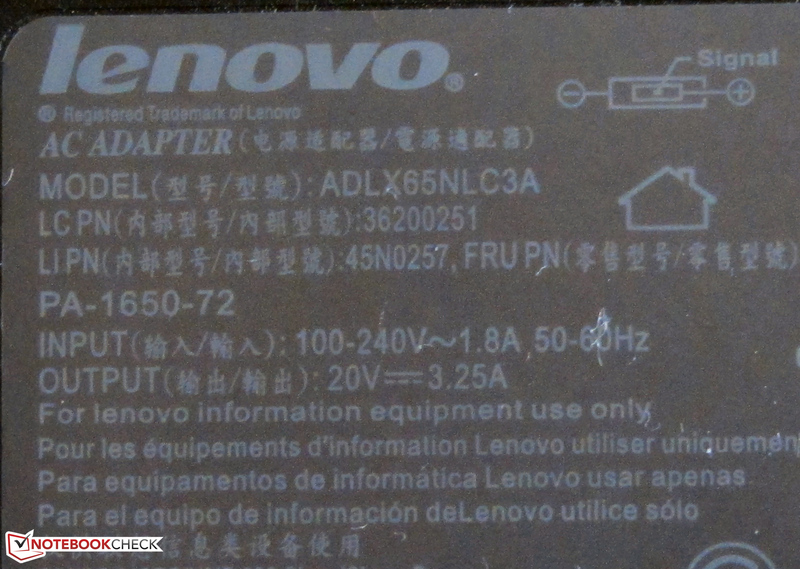 Had Lenovo omitted the second GPU and halved the working memory by 8 GB, the saved money could have been invested in a larger battery or a better screen. Disregarding these two points, the G505s offers solid qualities; though they are also found in other laptops from this price range. 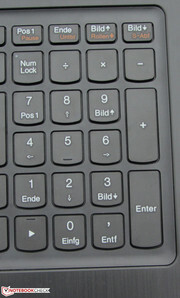 Casing or input devices could be improved in detail, but they are suitable for everyday use without restrictions. This, however, ultimately does not change anything about the fact that contenders, such as Acer's Aspire V5-573G, might be the better choice for many users. There is a maintenance cover. The hinges have a firm grip on the lid. The fan could be taken out. Savvy users could replace the APU. 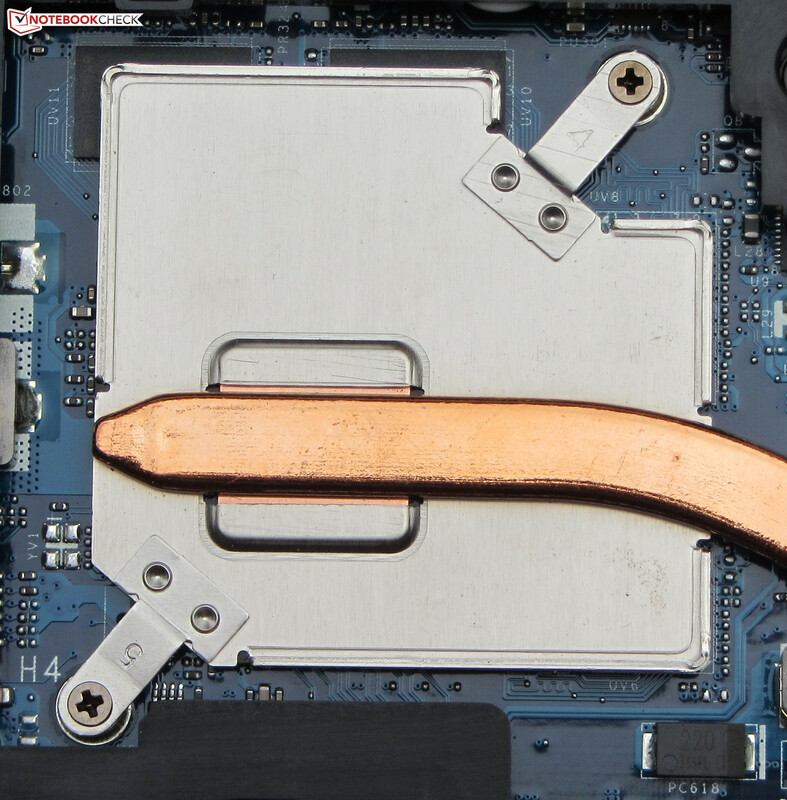 The Radeon HD 8570M GPU is soldered and cannot be removed. ...and provides a maximum output of 65 Watts. 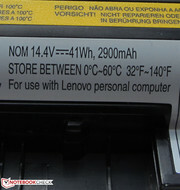 The battery weighs almost 214 grams (~7.5 ounces) and supplies a capacity of 41 Wh. 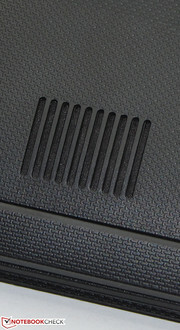 The speakers are located on the casing's underside. 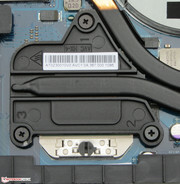 The One-Key Recovery button (right) starts the recovery system and enables accessing the BIOS. 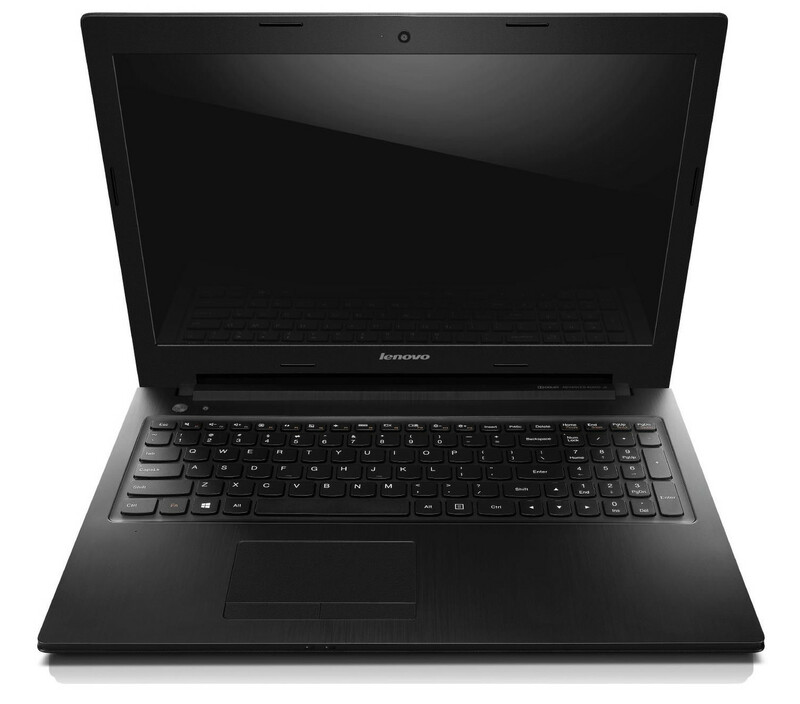 The laptops from Lenovo's G505s line offer a comprehensive configuration despite its comparatively low price. Besides the CPU's clock issues that will hopefully be resolved, the faulty Crossfire scaling belongs to our biggest points of criticism. 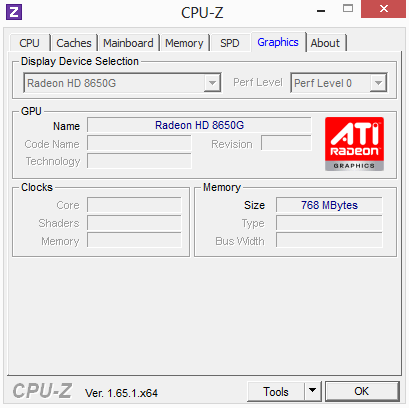 The additional Radeon HD 8570M does not provide a real added value. 16 GB of RAM in a midrange laptop - this generosity is generally welcome, but of little use to most users. Perhaps it would have been better to invest a part of this budget elsewhere. 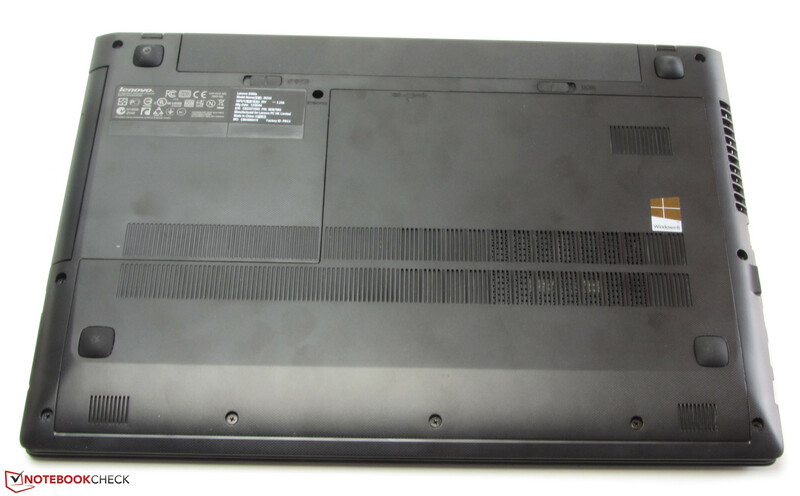 Among the direct contenders, we find Toshiba's Satellite C855, Acer's Aspire V5-573G, HP's Pavilion g6-2253sg and HP's Pavilion Sleekbook 15-b004sg.